A patented design, the Sawmill Jr. is a medium-light overdrive designed to react like your tube amp, delivering extreme dynamics with an internal +/- 15V power supply allowing for super high headroom. 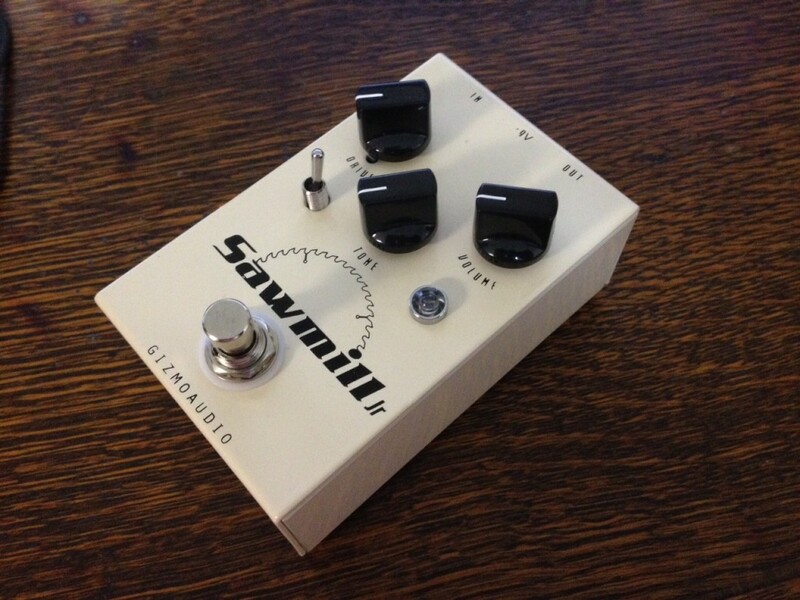 The Sawmill Jr. is Mosfet based, containing both internal bias for the locating the Mosfet’s “Sweet Spot” and circuitry for cancelling non-musical intermods. Clean boost, soft breakup, or full on overdrive based on your settings for Drive and Volume. This pedal is the embodiment of what clarity in an overdrive should be, and responds to the players pick attack allowing for a wide tonal range and touch sensitivity. Whether you’re playing a Strat, Tele, Les Paul or switching between humbuckers or single coils, we are confident that this pedal will allow you to achieve stunningly pristine drive tones with minimal, if any adjustments. Do your rig a favor and pick up a Saw Mill Jr. today! Volume Control – Controls the output volume, post distortion. Dynamic Drive with Touch Sensitive Breakup and clarity. Use it with low drive and high volume for a clean boost, with medium drive and medium volume for overdrive, or high drive for full on distortion. Complements your tube amp’s tone. 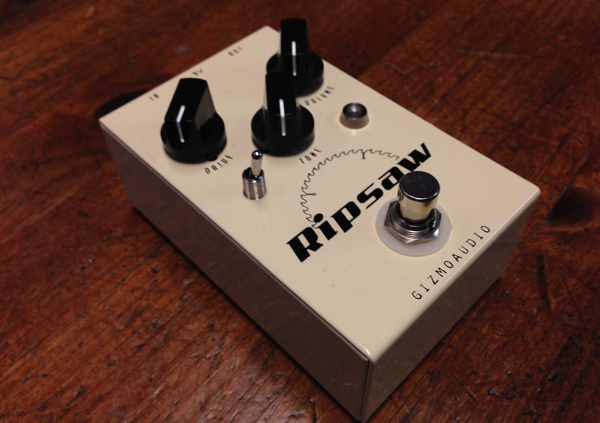 Even with full on distortion the Ripsaw maintains clarity . Even with max distortion you can still hear the individual sound of your different pickups and your guitar. Intermods and harmonics are selectively enhanced to reduce “mud”. The bass cut can be used to control the fullness of the bottom end of your tone. Use bass cut to reduce fullness when playing with a large band. Keep the bottom when playing with a three piece where a fuller sound is needed. Bass cut also adds tone shaping for use with humbuckers or single coils. The Original Sawmill is Discontinued. Future Products – we don’t do clones!